3.Turn over 2 slices of bread and spread with mustard. Top with cheese, ham and spinach. Sandwich together with the remaining 2 slices of bread. Buttered sides should face out. 4.Place sandwiches in the sandwich maker and cook for 2-3 minutes, or until bread is golden brown and cheese is melted. 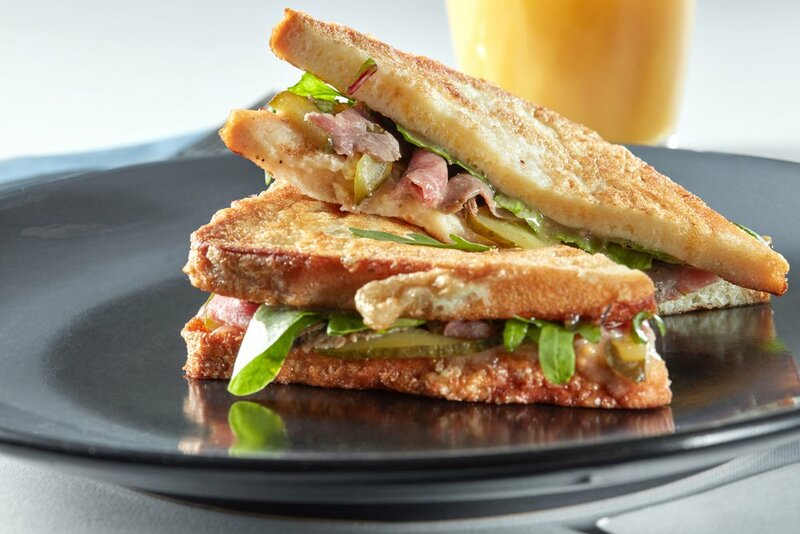 Tip: for extra flavour, add a few slices of gherkin (pickles) to your sandwich!